Look what they've grown for us! The UC/Cooperative Extension LA County Master Gardeners return to the Green Tent with lots of green goodies to share. Join them May 28 from 9 am to 1 pm for megadoses of veggie power that they grew expressly to give to YOU—and you can choose packets of seeds to grow as well—all for free! Don’t forget to bring your garden questions, too. Everyone loves cherry tomatoes and the sweetest ones of all are the Sun Golds. They’ll be there — in limited supply so stop by early. 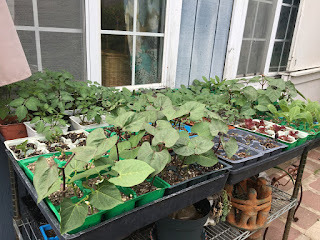 Then, make a summer salad with fresh green beans — you can choose from pole beans (which you need to stake or trellis) or bush beans — (hint: they grow like a bush!). 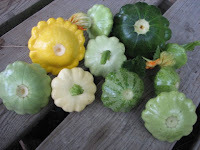 And these are fun on the grill: Patty Pan Squash. 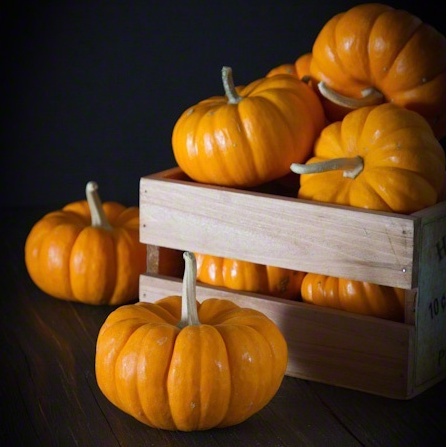 The kids will be thrilled to have these Jack Be Little pumpkins to play with but you can take them in the kitchen and stuff them for a dinner special! You can slice up some tomatoes for that (beef or veggie!) 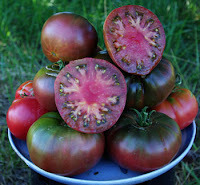 burger too: they’re bringing beefsteak and black Krim tomatoes for your delectation. And what would life be without a few herbs? Enjoy basil and cilantro, while supplies last! Please remember to bring your empty plastic six packs so the master gardeners can grow more plants for you.